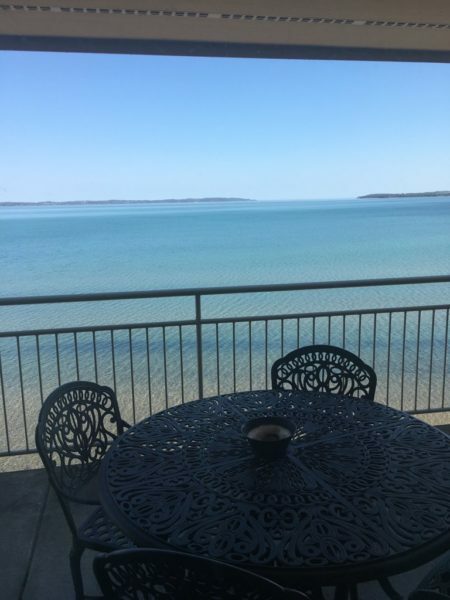 This 5th floor suite offers the best bay view in all of Traverse City. 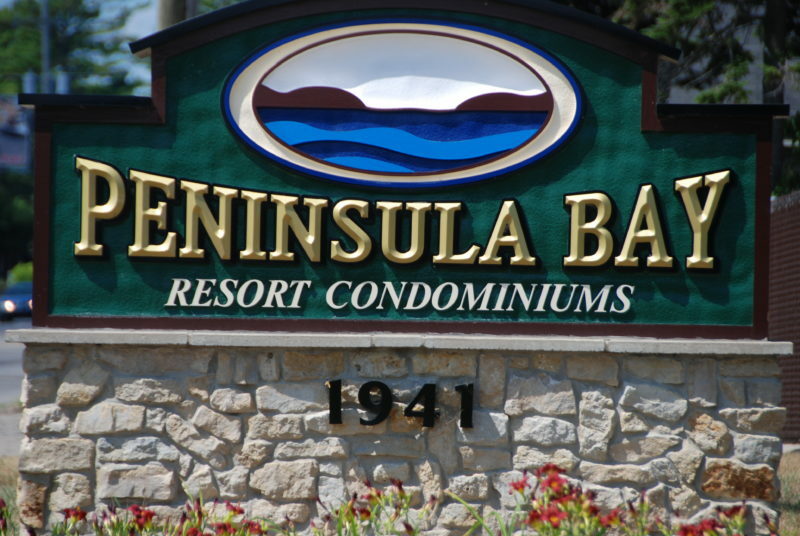 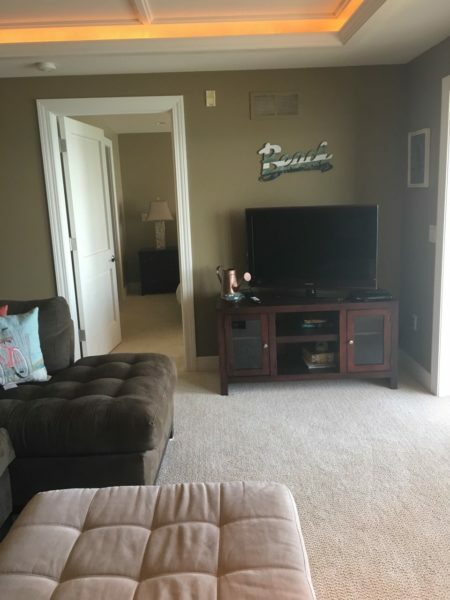 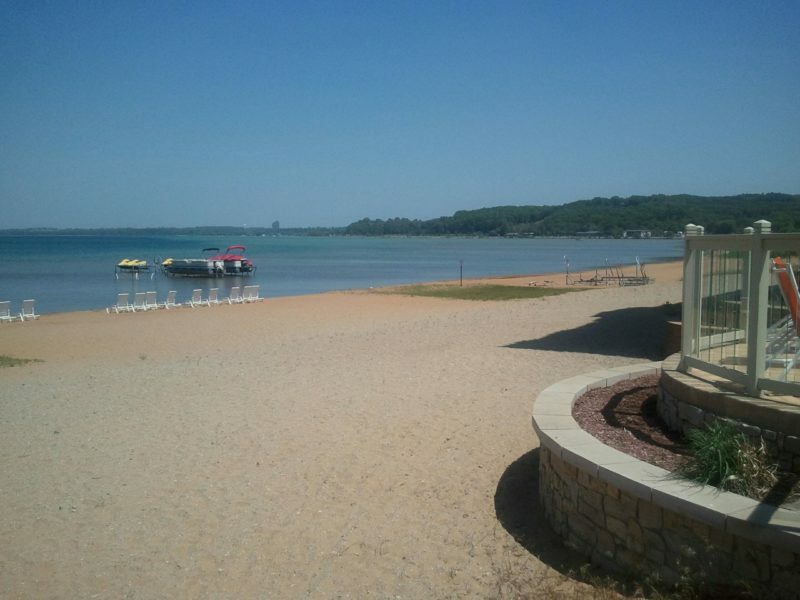 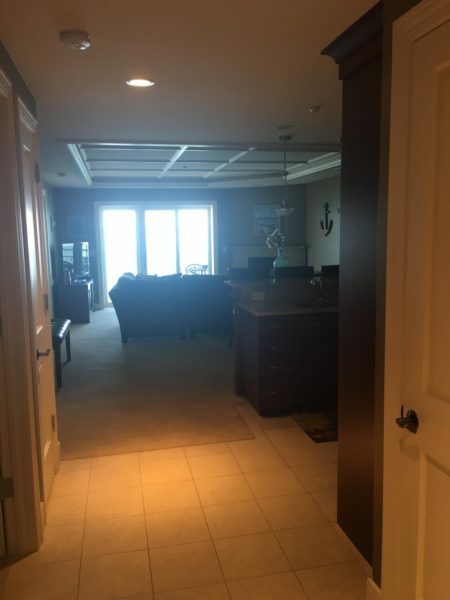 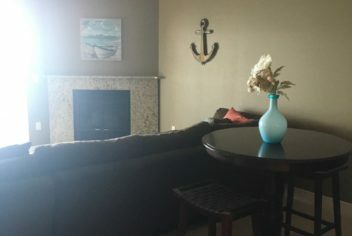 Whether you are relaxing on your balcony overlooking the sandy beach of East Grand Traverse Bay, or cooking in your gourmet, state of the art kitchen, you will absolutely love this two bedroom two bathroom suite. 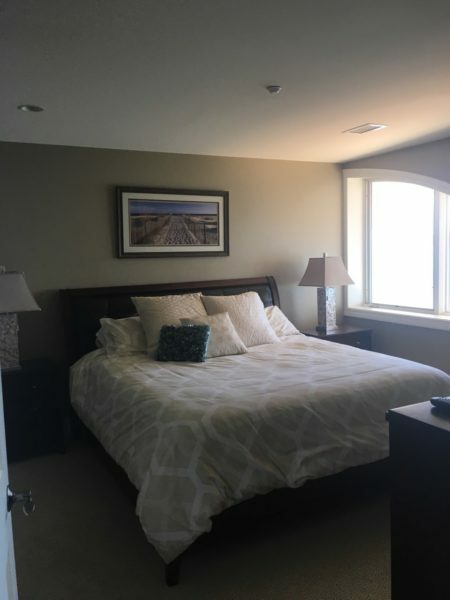 This suite features a king size bed in the master bedroom, with a full bathroom ensuite. 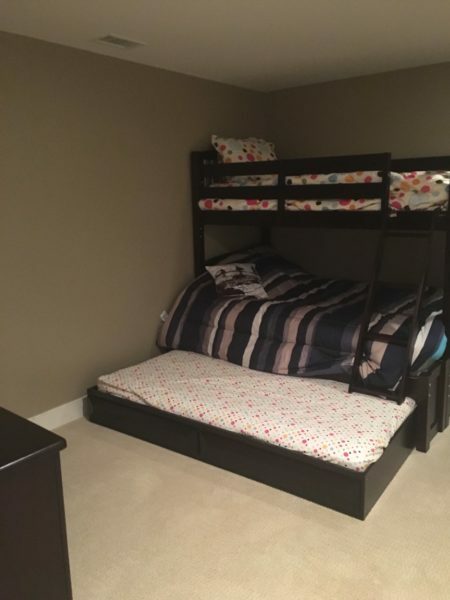 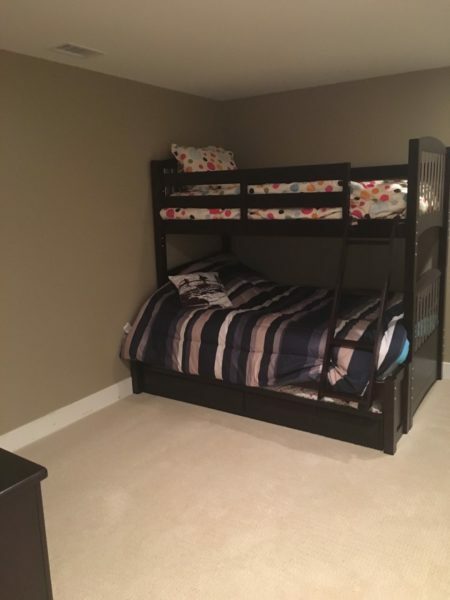 The second bedroom is furnished with a full size bunk bed, with trundle, offering accommodations for up to three. 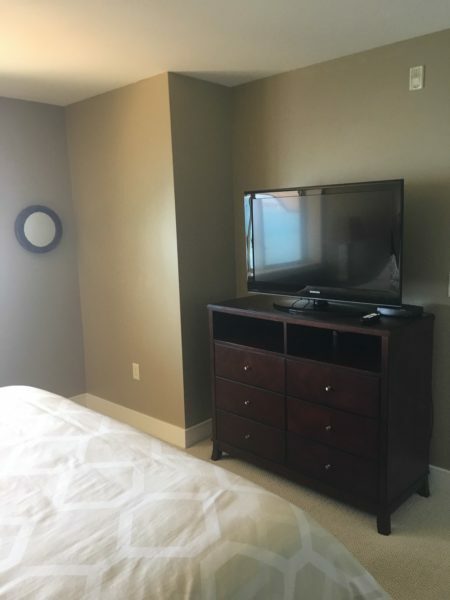 Each bedroom is equipped with a flat screen TV, as is the living room, and Wi-Fi throughout. 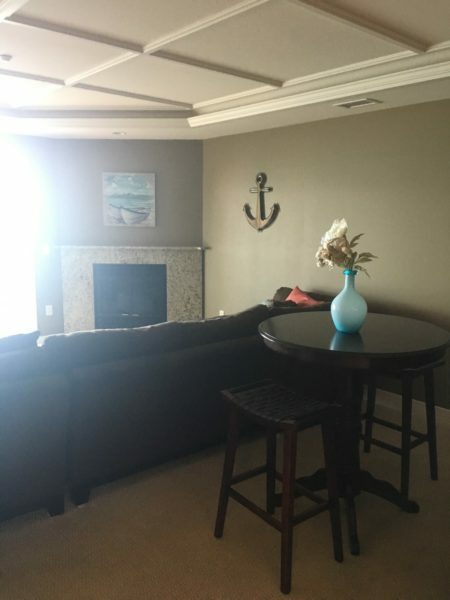 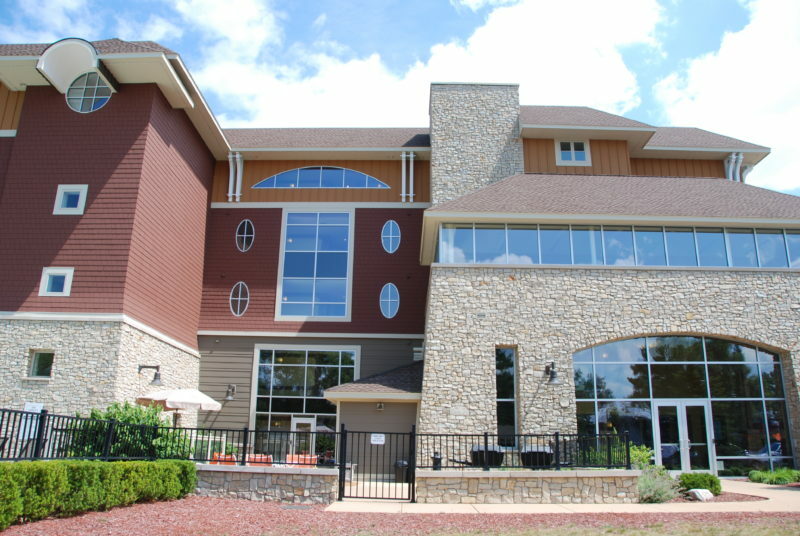 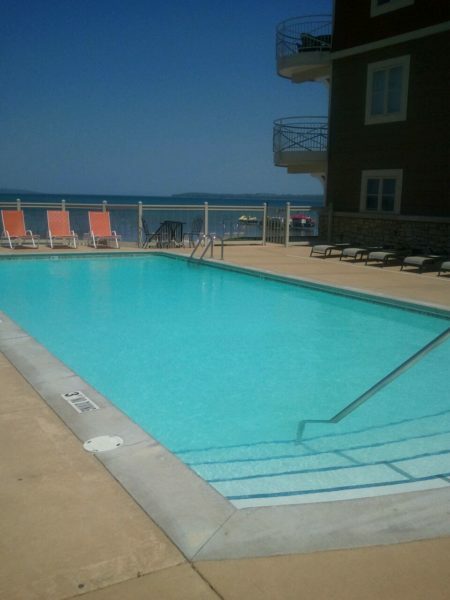 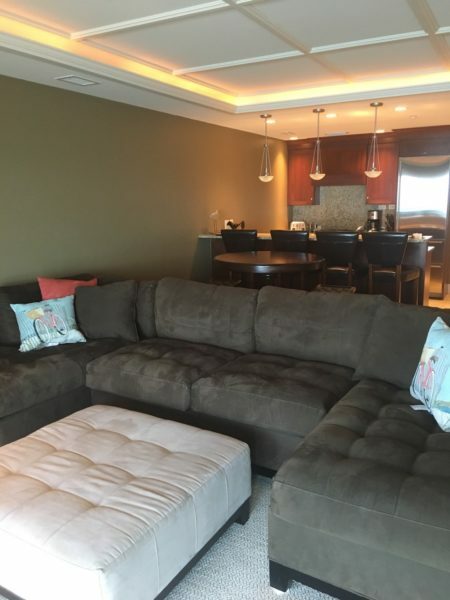 When not enjoying this fabulous suite you can relax by the pool and spa, stroll the beach or enjoy the many amenities that Traverse City has to offer. 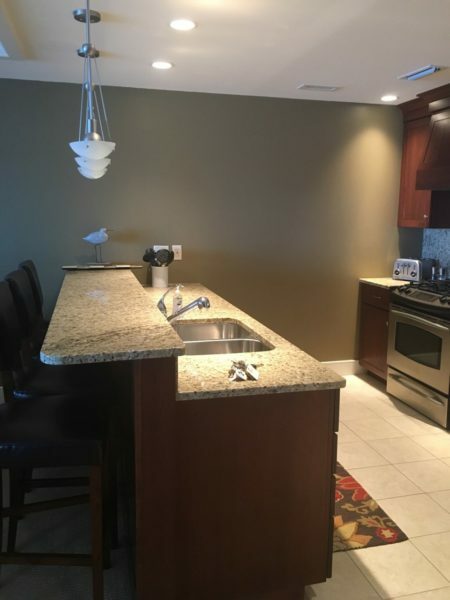 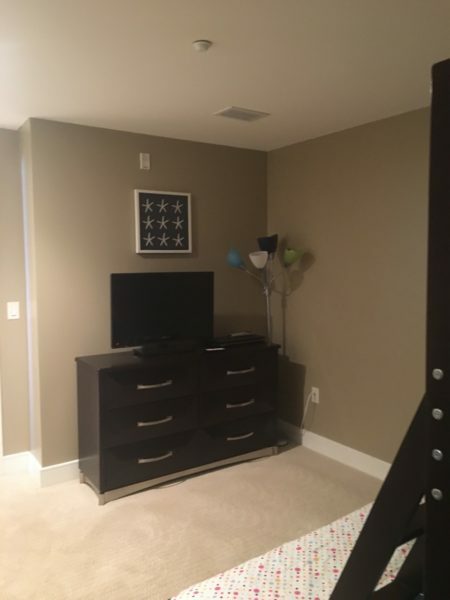 Fully equipped high end appliances with plenty of countertop and 3 bar stools for entertaining. 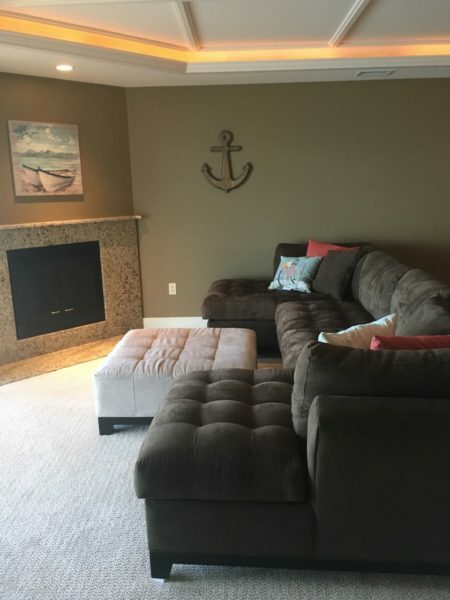 Spacious living room with fireplace, large TV, and plenty of seating while viewing the East Grand Traverse Bay. 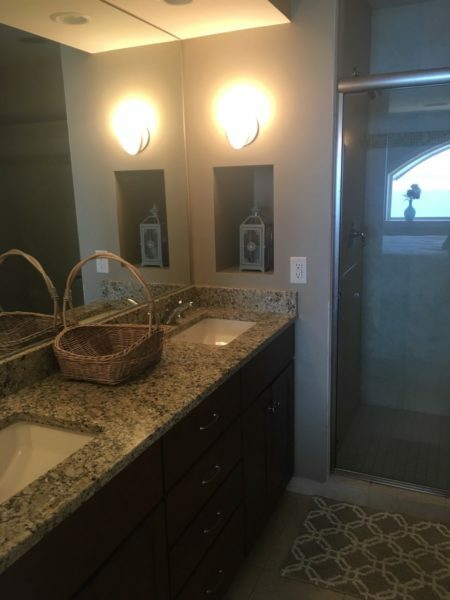 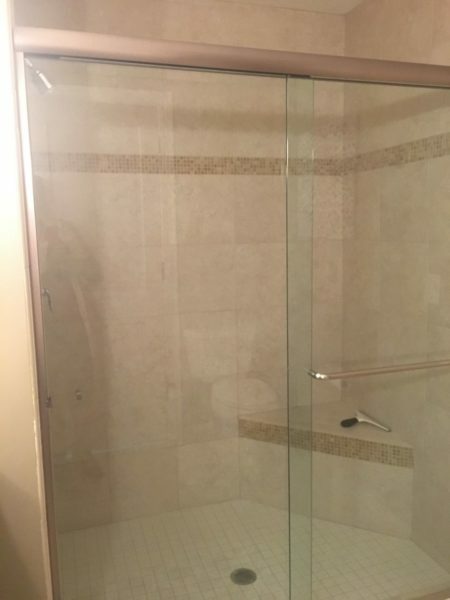 Located near Tart Trail for biking, running, hiking. 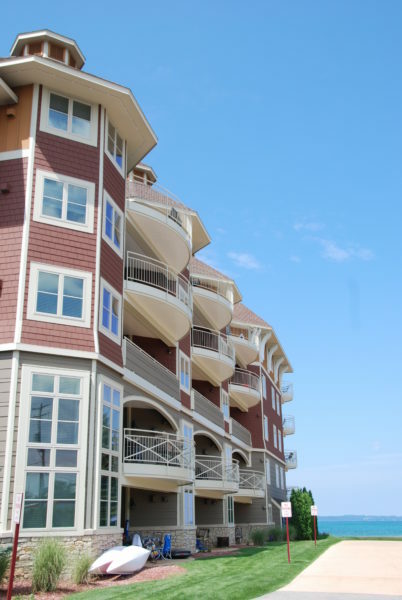 Nearby to restaurants, Pirates Cove, and shopping centers.